In just minutes, you’ll confirm where you’re already making healthy choices in 7 key categories: fitness, nutrition, self-care, emotional health, stress reduction, life balance, and disease prevention. More importantly, you’ll identify those areas where you’re at risk and where you need to make some changes to improve your lifestyle for optimum health. No blood samples or other expensive lab tests to get started. That’s because the Personal Wellbeing Profile™ focuses on the key lifestyle indicators that actually determine a healthy lifestyle from an unhealthy one. You get specific information and support to help you identify your health risks and to make the necessary changes to improve your well-being. Unlike other health risk appraisals that require blood pressure and biometric measurements, along with a sample of your blood to determine things like your cholesterol level, the Personal Wellbeing Profile™ appraises your health risks based on your current lifestyle – the point where most of those risks originate … and where change is bound to have the greatest chance of improving your health! And, as with all Wellbeing Lifestyles™ programs, you’re benefiting from in-depth, current research from many cross-referenced sources, like: the U.S. Centers for Disease Control and Prevention, the American Heart Association, the American Cancer Society, the National Institutes of Health, and many more credible sources … its information you can trust! After you’ve filled out the Wellbeing Questionnaire to identify the lifestyle changes you need to make to improve your health … and after you’ve set personal goals to accomplish them … you can keep track of the progress you’ve made. You’ll know what’s working and what’s not working for you with a visual record of your health improvement. The program’s unique Wellbeing Wheel will keep you focused on the areas you need the most help on. And both the Wellbeing Questionnaire and the Wellbeing Wheel are designed so that you can come back in 6 to 12 months to use it again… and measure your improvements! For only $29.95… and your desire to take control of your wellness… you can start right now making the change toward a healthier… and longer… life. 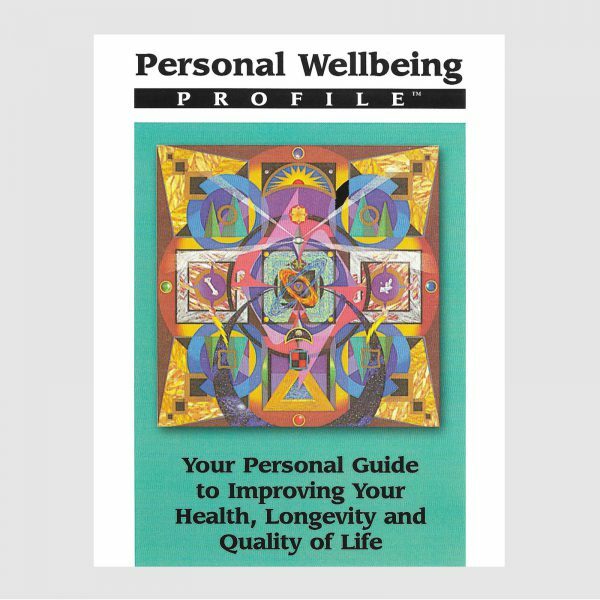 Download your online copy of the Personal Wellbeing Profile™ now for the introductory price of only $14.95. Note: Employers, Health Care Providers and Health Insurers, ask us about our special Employee Wellness version, available in hard copy only. The Employee Wellness version provides essential diagnostic information. It allows employers, health care professionals and health insurance managers to identify how many individuals are at risk, in which areas, and which targeted on-site programs are likely to maximize health and well-being benefits throughout your organization. Contact us. We’ll help you set up a pilot program in your organization. And ask about our volume discounts. Learn About The Most Important Topics Impacting Your Health! And many other tips you can use to start improving your well-being right now. In addition to the tips, you get interactive checklists so you can assess your own lifestyle… plus, ample space to write in brief journal entries so you’ll have a permanent record of your assessment and health goals. You’ll also receive the Wellbeing Glossary, where you’ll get more information about the key concepts covered in the Personal Wellbeing Profile™. In easy-to-understand language, the glossary will answer many of your questions about health topics like “Colon Cancer Screening,” “High Fiber Foods,” “Mammograms, Pap Smears, and PSA Testing,” to name just a few. You Can Improve Your Overall Health … And Quality Of Life … Beginning Right Now! And You Can Do It For Only Pennies A Day! The Personal Wellbeing Profile™ is designed to both inform you and motivate you. Consider it a very cost effective way to have your very own wellness coach … your personal guide for making specific changes to improve your overall health and quality of life. True change takes place over time. That’s why you’ll be setting a 6 to 12 month goal for accomplishing the lifestyle changes the program recommends. But the effects of the healthy changes you put in place begin improving your wellness from the very first day! Guided by the Personal Wellbeing Profile™, you decide what changes to make to your lifestyle. Then use it to help you stay on track to achieve your wellness goals. 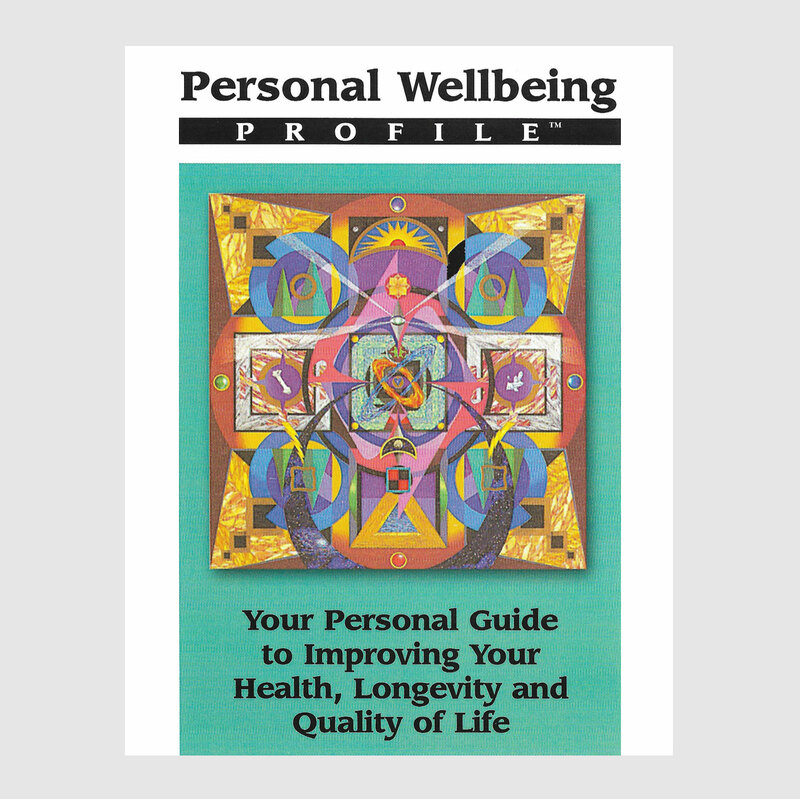 Q: How many pages are there in the Personal Wellbeing Profile™? A: There are 22 pages. A: Health risk appraisals have been around for a little over 30 years. They are very effective at helping you determine your specific health risks. But the old style HRA provided a short questionnaire (usually 12 to 15 general lifestyle questions), along with biometric and blood pressure measurements, and required a blood draw to determine things like cholesterol and other chem panel indicators. They were time consuming, expensive and short on lifestyle information and support. The Personal Wellbeing Profile™ does away with the measurements and blood draw and focuses on the key lifestyle indicators that actually determine a healthy lifestyle vs. an unhealthy one. I call it “next generation” because it’s easier to use, much more cost effective and ultimately more efficient. It provides the specific information and support to help you identify your health risks and to make the necessary changes. It’s an information resource and change support vehicle all in one. Q: How do I know that I can trust your information? A: As with all Wellbeing Lifestyle™ programs, I research the information in depth and cross-reference it between many sources. Here is a partial listing of the resources I contacted in developing the Personal Wellbeing Profile™: American Cancer Society/ American College of Sports Medicine/American Heart Association/ Harvard School of Public Health/ National Institutes of Health/ President’s Council on Physical Fitness and Sports/ University of California at Berkeley/ U.S. Centers for Disease Control and Prevention/ and many more. Q: How many questions do you ask in the Wellbeing Questionnaire? A: I ask a total of 77 questions, 11 in each of the 7 key sections. Q: Isn’t that a lot of questions and doesn’t it take a long time to answer them? A: The Wellbeing Questionnaire is designed to be quick, easy and fun. On average, it takes about 10 to 15 minutes to answer the questions. You can spend more time however with the Wellbeing Tips and Wellbeing Glossary and actually I hope you will. In fact I hope you’ll come back to those two parts again and again to work with the interactive information as you make the necessary wellness changes in your life. Q: Why do you include interactive sections on “Purpose, values and goals?” These don’t sound like typical health care topics. A: How you perceive your purpose in life and your key values, as well as how well you live your life consistent with them, often determines your quality of life, not to mention your quality of health. Many of us go through life never knowing what our purpose and true values are and therefore we expend much of our energy and health going in wrong directions. The Personal Wellbeing Profile™ is designed to help you identify both your purpose and your key values. Your specific goals will then derive from them as ways to actualize your purpose and values. Q: Why come back and answer the questions again in 6 to 12 months? A: Because true change takes place over time. The Personal Wellbeing Profile™ is designed to inform and motivate you and be your personal guide for making specific changes to improve your overall health and quality of life. By setting a 6 to 12 month goal for making those changes, it will help you to stay on track. It’s a very cost effective way to have your own wellness coach, get healthier and live longer.